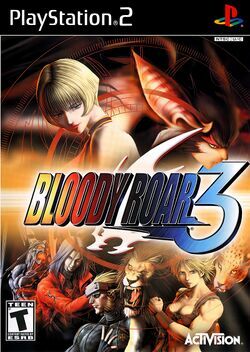 Bloody Roar 3, is a brawler video game developed by Eighting/Hudson Soft in 2001. It is the first of the Bloody Roar series to appear on the PlayStation 2. Its successor, Bloody Roar: Primal Fury was created for the Nintendo GameCube and was later ported to the Xbox as Bloody Roar Extreme. This page was last edited on 27 January 2018, at 19:37.